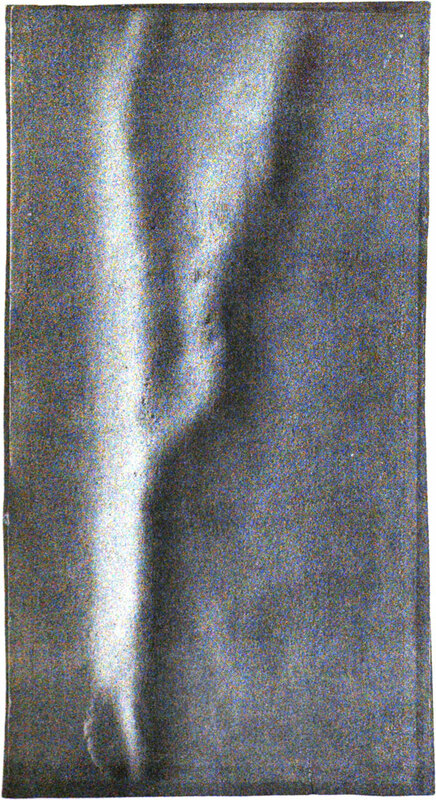 Plate V, Effects of superficial expansion on sheets of lead. Experiment No. 4. — The next experiment was of a similar nature, with a sheet of 4 lb. lead, 1 foot 5 1/2 inches by 9 1/2 inches between the fastenings. A couple of ridges were developed, one traversing the entire length of the plate, the other forking out from the center. ¶ After producing these irregularities with the blowpipe, I placed the plate and its wooden bed in the oven, leaving it there for several days, then placing it in my library, repeating the process pretty often, but at irregular intervals. The effect of the heating and cooling was to develop the ridges much more strongly, so that now they measure in the highest part half an inch above the surface of the plate at its edges. The definiteness of the form of the ridges has increased, and the sides have becom steeper since the plate has been removed from the blast heating in the oven. (Plate V. p. 28).